the founder of British Afternoon Tea? History lovers will revel in a visit to Bedford Lodge Hotel & Spa, which has a rich past spanning almost 200 years, peopled with characters who were hugely influential in British society. The property was built in around 1820 as a hunting lodge for John Russell, the sixth Duke of Bedford. The Duke was a notable politician who was the driving force behind the redevelopment of London’s Covent Garden as well as the father of namesake John Russell, who was twice Prime Minister. On the estate at the time of the Duke’s ownership were the house and stables, as well as a cottage. The property passed to his eldest son Francis Russell, the seventh Duke of Bedford, on his death in 1839. Also known as the Marquis of Tavistock, the seventh Duke was a shrewd businessman as well as a politician, sitting as MP for Peterborough and later Bedfordshire before becoming a peer of the House of Lords. Incidentally, his wife Anna Maria is accredited with creating the cultural British phenomenon that is afternoon tea! When the seventh Duke of Bedford died in 1861, the estate was purchased by Sir Joseph Hawley, a well-known racehorse owner whose horses won the Epsom Derby four times. Over the next few years, the estate changed hands twice, first to racehorse trainer William Butler who demolished the Lodge’s original stables and then to fellow trainer Joe Dawson who built the main range of stables in 1864. 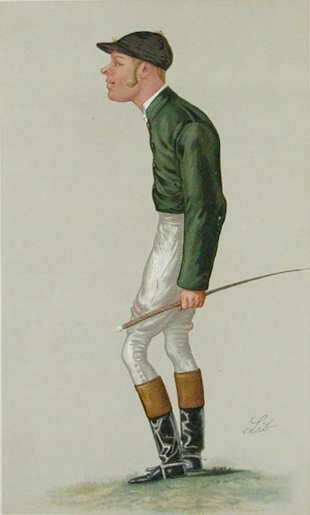 After Dawson’s death in 1880, the estate came into the ownership of racehorse manager Captain James Octavius Machell. The captain held a position in the Guinness Book of World Records as the only owner to have had a horse that won the Grand National, 2000 Guineas and the Derby. Machell extended the house in around 1885 to provide additional accommodation, including a saloon for boxing matches for the estate’s lessee George Alexander Baird. Baird was a notorious character in the 19th century racing world and is commemorated in the name of Bedford Lodge Hotel & Spa’s award-winning restaurant, Squires. When Baird died in 1893, the lodge and stables were sold to Frederick Arthur Stanley, the 16th Earl of Derby who had just years before created ice hockey’s Stanley Cup while serving as Governor General of Canada. The Earl extended the lodge between 1904 and 1905. In the 1920s and for the first time in its history, Bedford Lodge’s name was changed – retitled Calvin House by William Maxwell Aitken. Also known as Lord Beaverbrook, Aitken had founded the Sunday Express in 1918 and was heralded as the first baron of Fleet Street. The estate was returned to its former title of Bedford Lodge when it was owned by famous jockey and trainer Harry Wragg, who lived there with his family from 1930. In the 1940s, Bedford Lodge became a family-run hotel and has enjoyed decades of success as such ever since. Its 21st century incarnation appeals to thousands of visitors each year, struck by a chic, modern outlook which is underpinned with a real depth of historical significance. As a major part of Bedford Lodge Hotel & Spa’s history, it was fitting that he be remembered in the name of our restaurant – which is how it became Squires.